There are many ways to get out and enjoy the water. So why is stand up paddleboarding the world's fastest growing watersport? Paddleboarding is easy and quick to learn / suitable for all ages and abilities / a great family activity / an enjoyable way to get fit / you don't need a lot of expensive equipment / you can SUP anywhere there is water / it's sociable / and it's lots of fun! The answer also lies in the versatility of the sport. 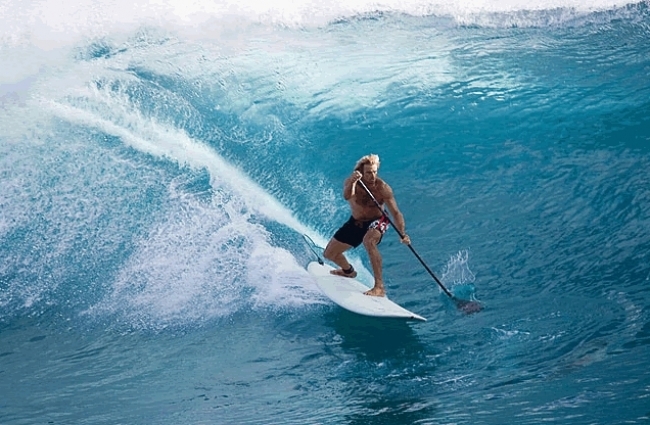 Although it looks like just a big surfboard, a SUP is not just for catching waves. SUP Flat Water Cruising - is a great relaxing way to explore and experience the outdoors from a different perspective. Cruising along the coast or gliding up an estuary allows you to not only enjoy the land from the water, but to also see the world underneath the water. Standing up on a SUP gives you much better views than you would get from a surfboard/boat/kayak.. it's like walking on water. 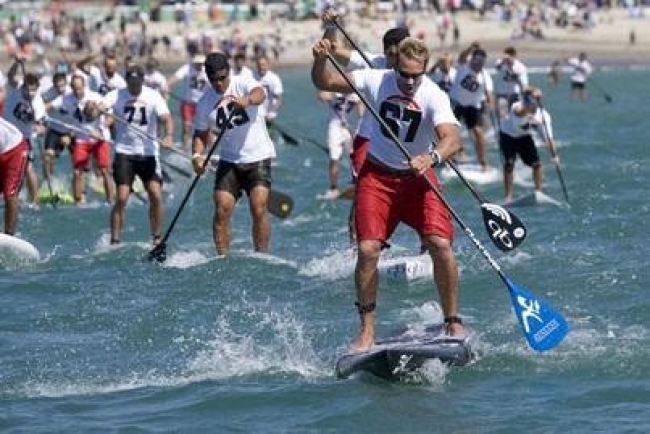 SUP Racing - this is the biggest discipline growth in the sport. Specialist race paddleboards have been designed which are longer, enabling the board to glide faster due to its increased water-line length. SUP Surfing - is a great way to get into surfing if either it's your first time at surfing, or you have tried before but experienced difficulty getting to your feet. When SUP surfing, you are already standing up so you don't need to worry about the difficult popping up bit. You can just concentrate on catching the waves! The big board makes surfing more stable and therefore easier for beginners. Many experienced surfers have also been converted to SUP surfing because of the ability to catch more waves, especially when the swell is small and you would otherwise be struggling to catch a wave on a surfboard. By standing up on your board you also have a much better view of the incoming swell and therefore the pick of the best waves! SUP Fishing - lets you fish in places a boat or pedestrian would never get to! And being able to glide smoothly and peacefully across the water means you won't disturb the fish...so are likely to catch more! SUP Fitness - paddleboarding is an enjoyable way to exercise and can be as intense as you want it to be. It offers a fantastic core-muscle body workout which targets your lower back and abdominal muscles, and also builds endurance and balance. It's a great all body workout and low impact way to stay/get in shape! Paddleboarding suits and benefits people of all ages, abilities and fitness levels. Paddle on your own or as part of a group if you need extra motivation! Check out if there are any SUP exercise classes in your local area. SUP Fun for all the Family - paddleboarding is suitable for all the family, regardless of age or watersport ability. Inflatable SUPs are soft and yet robust ,making them perfect for children to learn and have fun on. You don't have to stand up to paddle... sitting down or kneeling can be just as fun. And because they can be deflated and packed into a backpack they can go with you and your family everywhere! Paddleboarding brings a whole new dimension to a family fun day! 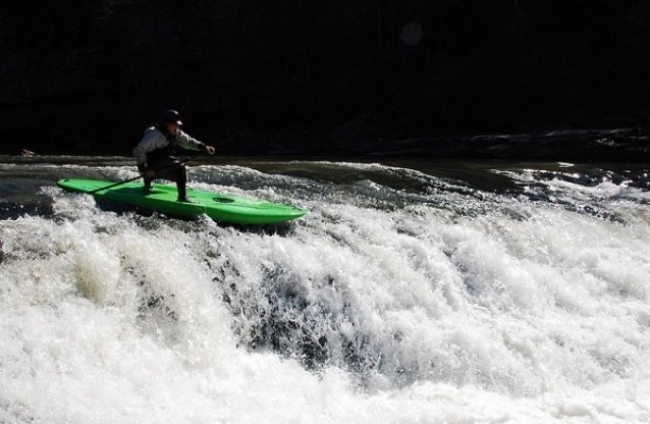 White water SUPing - is a great adrenaline rushing activity involving paddling down rivers. 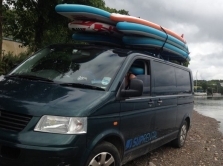 SUP experience and specialist safety equipment required. Not for the faint hearted!